Pochatok Film Festival has come to an end! We have had five incredible days of short film screenings and workshops for children! That was unforgettable!!! The jury consisted of Head of Jury children writer Maryana Malina, screenwriter for children plays Katerina Rizhii, animation director Nikita Tymoshchuk, designer of the logo Julia Peripolkina, screenwriter Anna Smirnova and animation director Taya Kabaeva. We are happy to announce the winners! 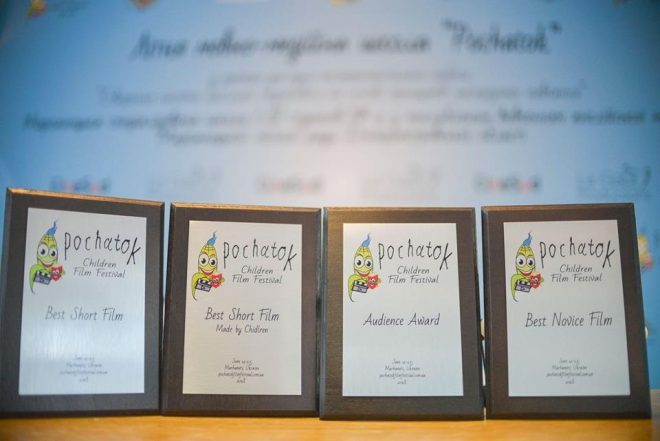 We are extremely grateful to everyone who participated and organized Pochatok Film Festival!!! All their efforts has paid of as children were very sad that those five festival days have finished so quickly! We are going to see you next year and soon we will publish pictures from the festival! Best Short Film Award (made by Children) has reached its winner!